From town ball to t-ball, we put passion for diamond sports to work. Help sponsor ongoing improvements to the Storm diamond sport facilities by purchasing an engraved brick to be placed at the Chanhassen stadium complex. Our baseball and softball teams play on great fields thanks to the hard work of our volunteers. Check out some of the Dugout Club's recent projects. Mayor Denny Laufenburger accepted a check for $38,000 from Todd Neils on behalf of the Chanhassen Athletic Association. 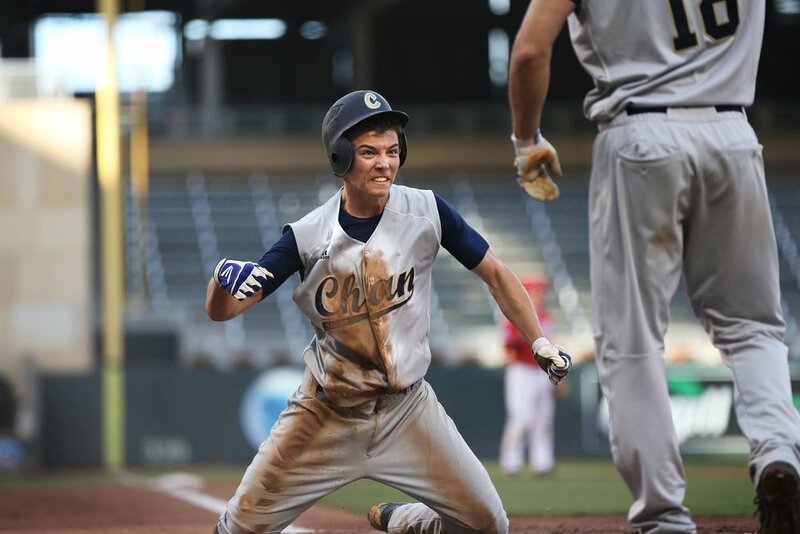 Todd Neils of the Dugout Club lead the Chanhassen Athletic Association and the City Council to fund new lights for one of our best ball fields.